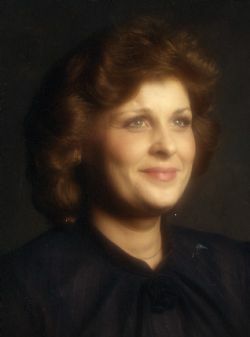 Sherrill "Ann" Green, 67, of Jacksonville, passed away on February 9, 2019. She was born in Little Rock to Carthel Olen and Goldie Bell Thompson. Ann was a huge Elvis fan. She loved to travel, laugh, have fun and spend time with her family. She had a caring heart and was an animal lover. She is preceded in death by her parents; one sister, Donna Sellers; and one brother-in-law, James Sellers. Ann is survived by two sisters, Kay Thompson and Paulette Wakefield (Clifford); and several nieces, nephews, great nieces and great nephews. Visitation will be from 5-7PM on Friday, February 15 at Roller-Owens Funeral Home, 5509 JFK, North Little Rock. Services will be at 10AM on Saturday, February 16 at the funeral home. Burial will follow at Pinecrest Memorial Park in Alexander.